B&H Photo is selling the TP-Link HS300 smart power strip for $55 and a three-pack of the TP-Link HS200 smart light switches for $57. If you don't have hundreds of dollars to spend on new bulbs, hubs, and thermostats, you can still make your home a whole lot smarter. 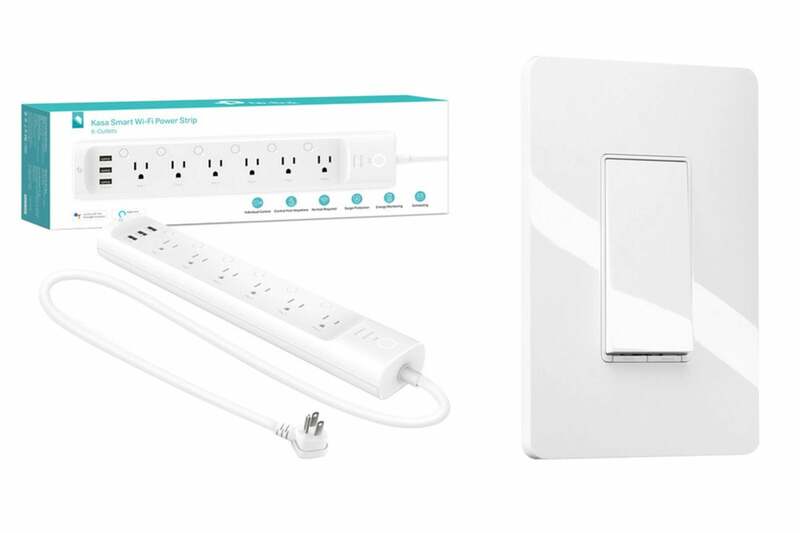 And today's a great time to start: B&H Photo is selling the TP-Link HS300 smart Wi-Fi power strip for $55Remove non-product link when applying the 31 percent coupon on the listing,, along with a three-pack of TP-Link's HS200 smart Wi-Fi switches for $57Remove non-product link, nearly 50 percent off its list price of $105. The smart Wi-Fi power strip allows you to plug in up to six devices at once, and control them individually with their individual switches or by using the connected app. There are also three handy USB ports for charging up extra devices. Using TP-Link's Kasa app, you can set schedules and turn devices on and off remotely, as well as monitor energy usage. Built-in Wi-Fi connectivity also means you can use this power strip without a hub, and you can also connect it to Amazon Alexa, Google Assistant, and Microsoft Cortana for voice control. The smart Wi-Fi switch pack comes with three switches, so you can set up their smarts in multiple rooms. These switches, which also connect to Wi-Fi hub-free, can function just as regular light switches, but when connected to the Kasa app. Using your mobile device, you'll be able to set schedules, plan away times, and turn lights off and on from anywhere. In addition, compatibility with Alexa, Google Assistant, and Cortana means you'll be able to add some voice control in addition to mobile-controlled smarts. This story, "Make your dumb bulbs and devices smarter with these killer TP-Link deals" was originally published by PCWorld.